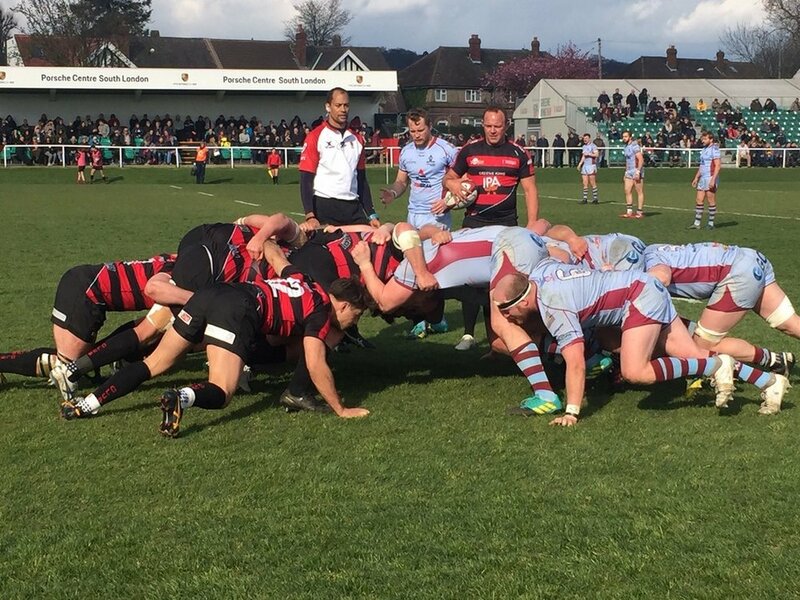 Rotherham disappointed in their penultimate game of the season as they crashed to a 28-7 defeat to an accomplished Blackheath side at Well Hall. Rotherham did have their moments in the game but when they arrived either the hosts skilfully kept them out or they shot themselves in the foot through poor handling and decision making. Titans could have nosed ahead in the second minute, however a rare off-target effort from Alex Dolly in the blustery conditions gave the hosts an early let off. From there on Blackheath enjoyed the majority of what followed in the first half as they scored three tries through fly half Mark Cooke, full back Leo Fielding and flanker Stephen Leonard, all of which were converted by Leo Fielding. Coming out for the second period trailing 21-0, Rotherham had more urgency about their work and as a result enjoyed long periods of territory and possession. However, a tremendously resilient defensive effort from the hosts ensured Titans could not breach their line. As full time approached a rare foray from the hosts into the Titans 22 saw replacement back Ben Ransom cross the whitewash for Blackheath’s bonus point try. Again Fielding added the extras. Deep into injury time Titans collected a consolation try when winger Henry Roberts darted through to score under the post for Connor Dever to convert. Commenting post-match a disappointed Joe Barker said, “I think we saw the inconsistency of youth and inexperience in our performance today. Last week we were right up there as we achieved one of our best performances of the season, but this week we came close to putting in our worst and for me that’s all in the head. “It’s nothing to do with tactical or technical ability, it’s about getting it right mentally on a week in week out basis and that will come as this group matures and become more experienced. “Although we could have scored more tries, there’s no doubt the better team on the day won the game. Blackheath play a similar style to us in attack, but they just kept the ball far better than we did. “We gave away a lot of penalties and mentally we weren’t alert enough at the breakdown and we didn’t react to the way the referee was running the game. You have to adapt to the referee because he isn’t going to change his approach. “Hopefully going forward the boys will have learnt a lot of valuable lessons which they’ll take into next season because week in and week out they have to turn up, because you can’t just expect to stroll up and win games in this division. Titans: 15 Sam Allan, 14 Dan Leake, 13 Ellis Abrahams (Barker 71), 12 Harry Dunne (Dever 43), 11 Connor Field, 10 Callum Irvine (Roberts 41), 9 Alex Dolly, 1 Dan Richardson, 2 Jack Bergmanas, 3 Will Dennis (Stout 59), 4 Antony Dickinson (Preston-Routledge 29) (Dickinson 59), 5 Luis Ball, 6 Ali Thomson, 7 Zak Poole, 8 Seb Nagle-Taylor (Capt.). Replacements: 16 Rikki Stout, 17 Dan Preston-Routledge, 18 Joe Barker, 19 Connor Dever, 20 Henry Roberts. Blackheath: 15 Leo Fielding (Ransom 58), 14 Jake Lloyd, 13 Alex Pickersgill, 12 Markus Burcham (Capt. ), 11 Craig Dowsett, 10 Mark Cooke, 9 Jack Daly (Liebenberg 58), 1 Tom Williams (Young 71), 2 Harry Fry (Priestley 71), 3 Danny Herriott, 4 Josh Peters, 5 Andrew Daish, 6 Freddie Owen (Fielding 71), 7 Stephen Leonard, 8 Anders Nilsson (Bate 43). Replacements: 16 Will Priestley, 17 Billy Young, 18 Harry Bate, 19 Stefan Liebenberg, 20 Ben Ransom.